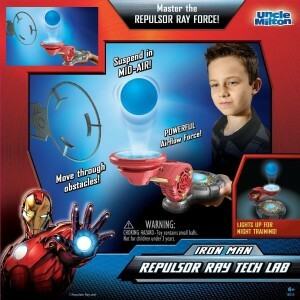 Master the Repulsor Ray Force! Discover the Science of Super Heroes! Once you’ve mastered the Repulsor Ray, shut off the lights and train in the dark using the light-up mode!